Stars of MARIE AND ROSETTA to play the Dakota! 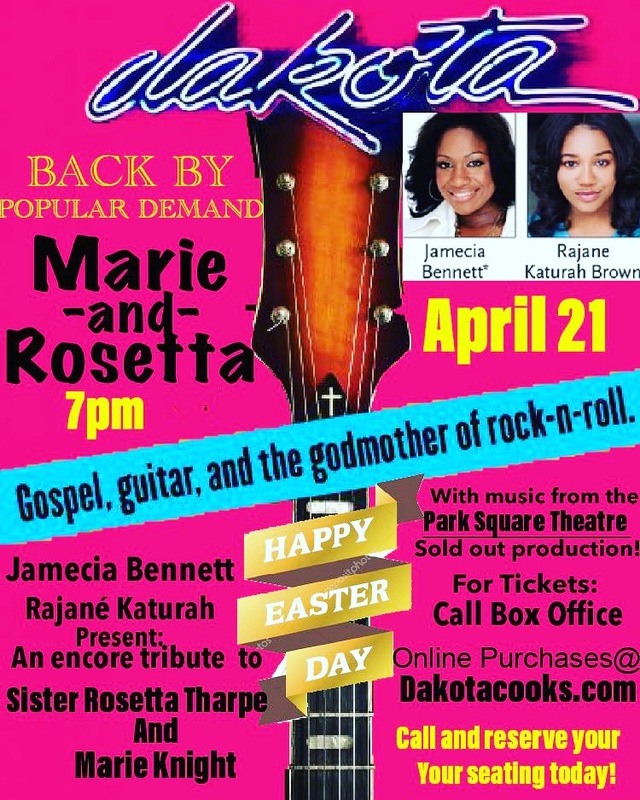 On April 21st, Jamecia Bennett and Rajané Katurah Brown will return to the Dakota Jazz Club for a one-night-only performance of the music from Park Square’s hit production Marie and Rosetta, a tribute to gospel and rock legend, Sister Rosetta Tharpe and her protege Marie Knight. In the play, Sister Rosetta states, “I brought a little church to the nightclub, and a little nightclub to the church,” making it a perfect show for a family outing on Easter Sunday. 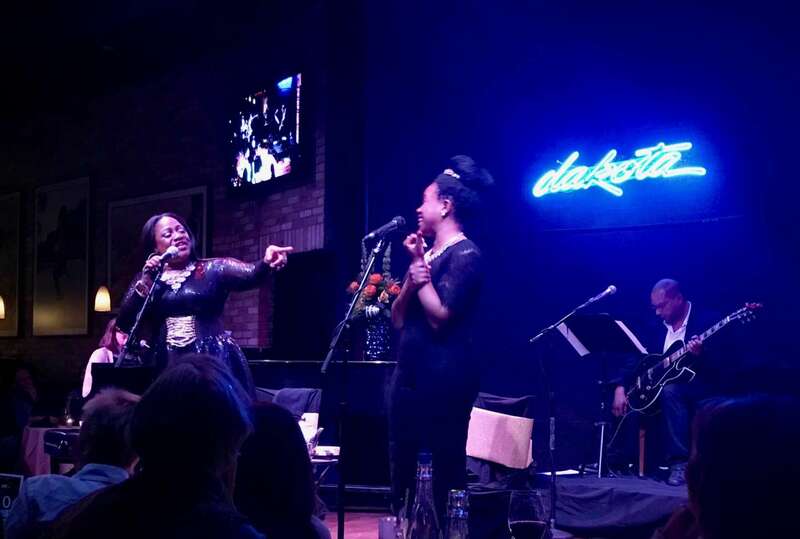 Jamecia Bennett and Rajané Katurah Brown at The Dakota in January 2019. Photo by Connie Shaver. Bringing fierce guitar playing and swing to gospel music, Sister Rosetta Tharpe influenced rock musicians from Elvis to Jimi Hendrix and Ray Charles. Jamecia Bennett (lead singer of Sounds of Blackness) and Rajané Katurah Brown (Star Tribune “9 Artists to Watch in 2019”) present an a tribute not to be missed!